Make a second level in your crabitat using a place mat! Get a wire shelf that fits well in your tank. 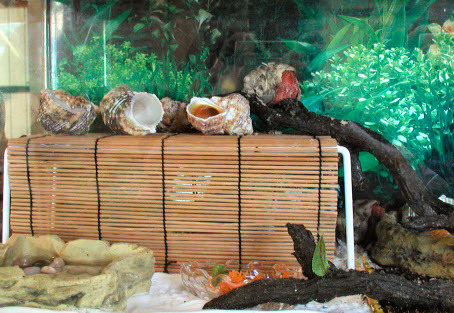 Get a natural reed place mat that your crabs can easily climb. Tie the place mat over the shelf using zip ties.